How fun!!!! It looks awesome too. 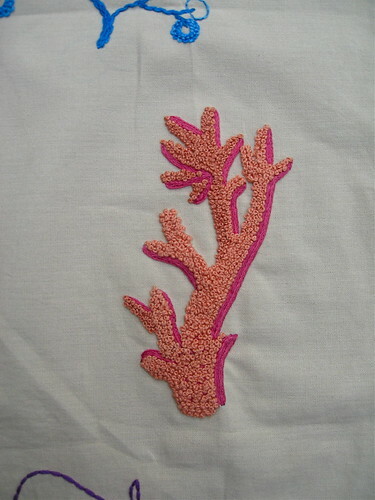 I love the sea coral with all of those french knots. 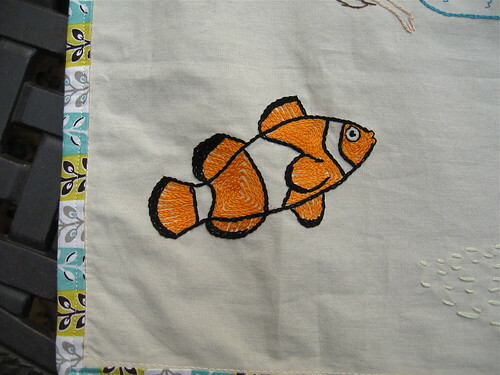 very nice.. i love NEMO!! it turned out beautiful!! what a great keepsake!! what a great idea! I love how it turned out! 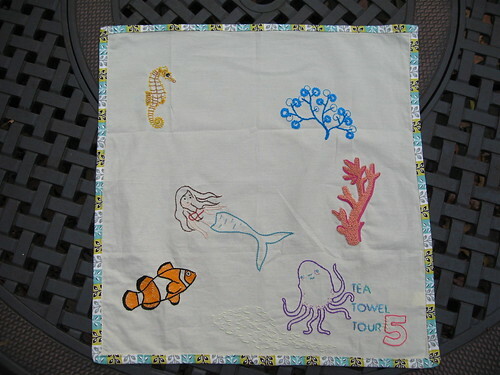 Did you know that your blog made it into Quiltmaker magazine? It's listed on page 10 under "blogs to watch" (January/February 2010 issue). We all knew you were a "rock star" & now the entire world knows it too!! 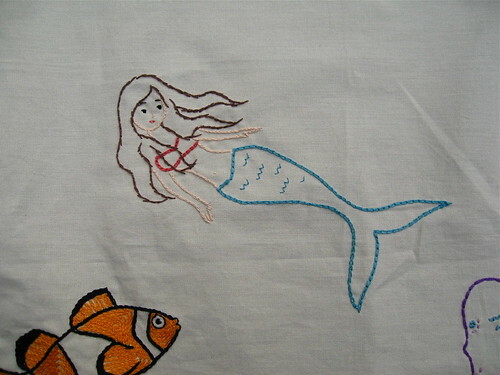 I have been following your blog for a while. Your blog is really AWESOME! I enjoy reading your blog and also the tutorials you share. 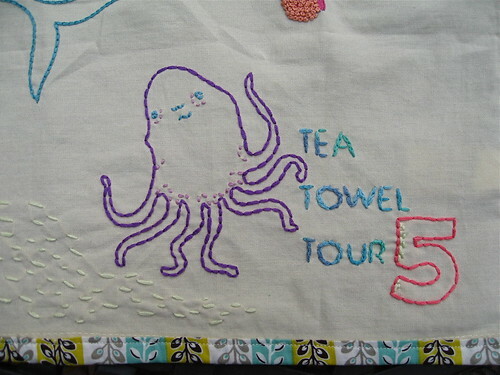 I really like this tea towel idea. This is fun! Hi Quilt Dad! 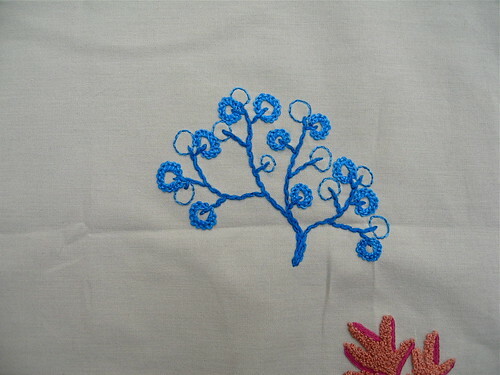 I love to embroider...and I appreciate yours! Keep up the great work! Isn't it fun! 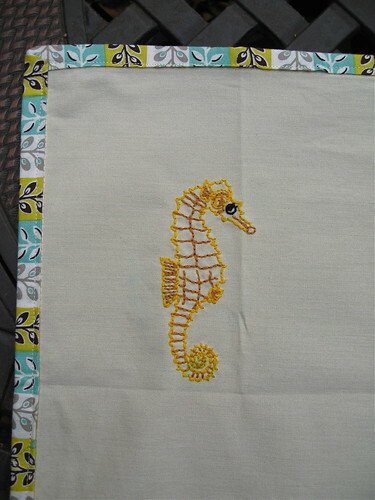 Just today my granddaughters where watching Nemo, and I was thinking what a great creation in either quilt or embroidery he would make...You bet me to it...LOL.